Digital capability remains a big issue for small businesses in the UK - and better digital skills can save time and increase turnover. Recognising this, Google has developed an online learning platform to help businesses improve their digital capability - the Google Digital Garage. 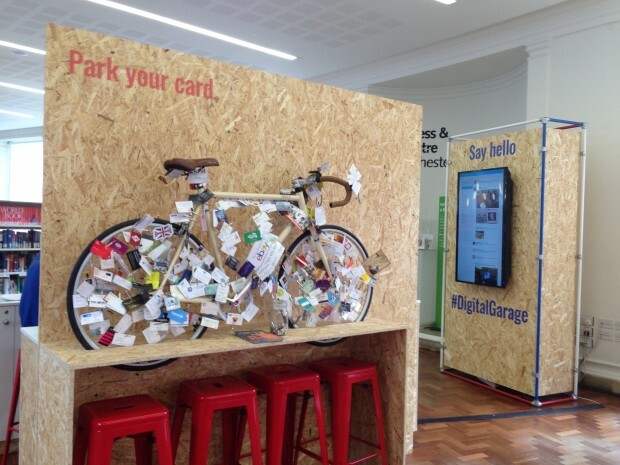 So far the Google Digital Garage has helped thousands of businesses to do more with digital. Building on this, Tinder Foundation and Google are now partnering to ensure that Google Digital Garage resources are reaching businesses with the lowest digital skills, deep in local communities. The partnership with Google aims to help 10,000 businesses to improve their digital skills - primarily sole traders and owners/employees of microbusinesses with 0-9 employees. This is a great opportunity for members of Tinder Foundation’s UK online centres network, more than half of which are based in libraries. Successful applicants will use their expertise in providing digital skills support to help small businesses and sole traders use Google Digital Garage resources to improve their digital capability. People setting up in business can be helped too, as can businesses with up to 50 employees. In recent years libraries have been at the forefront of innovative approaches to delivering business support at a local level and contributing to local economic growth, such as through the British Library and Arts Council England’s Enterprising Libraries programme. As a hub of the community, it is clear that libraries can play an essential role in providing support to businesses by helping to develop their digital skills. The Carnegie Trust has also highlighted the role libraries have in promoting local economic wellbeing in their report ‘Beyond Books: The role of enterprising libraries in promoting economic wellbeing’. The Libraries Taskforce also recently released Libraries Deliver: Ambition for Public Libraries in England 2016-2021 which further states the important part libraries play in contributing to economic growth. The ambition is that with continued support and advocacy, libraries will grow as important agents actually stimulating economic growth locally and nationally. This can be achieved in a number of ways - including by helping organisations to start up and grow, and the partnership between Tinder Foundation and Google is a great way for libraries to engage further with local businesses. Tinder Foundation is the biggest digital inclusion organisation in the UK. We work with thousands of community organisations - including libraries - to deliver digital skills to the people who need it most. We have a strong track record of working with Public Libraries in the UK to deliver digital inclusion - and last year awarded more than £316,250 of funding to 46 library services across 486 individual libraries throughout England. We believe libraries are key in reaching both the very hardest to reach communities and the smallest enterprises serving them. As part of our wider strategy to address social inequalities through digital, we want to make sure we’re working with libraries at a local level to support them to support local people. We’re particularly keen to make sure that funding opportunities - like the Google Digital Garage partnership - are seized upon by the libraries in our network. Using the resources on Google Digital Garage will mean that alongside their own models of engaging and inspiring those they’re working with, libraries will also have new tools to help a local business do everything from sending professional newsletters or building a website to promoting their business and selling online. I’d love to see as many libraries as possible taking part. The funding is open to all UK online centres, and we’re keen to see libraries well represented. The deadline for applications is Friday 15 April at 5pm. Please read the grant description and guidelines for more information, and access the application form here.